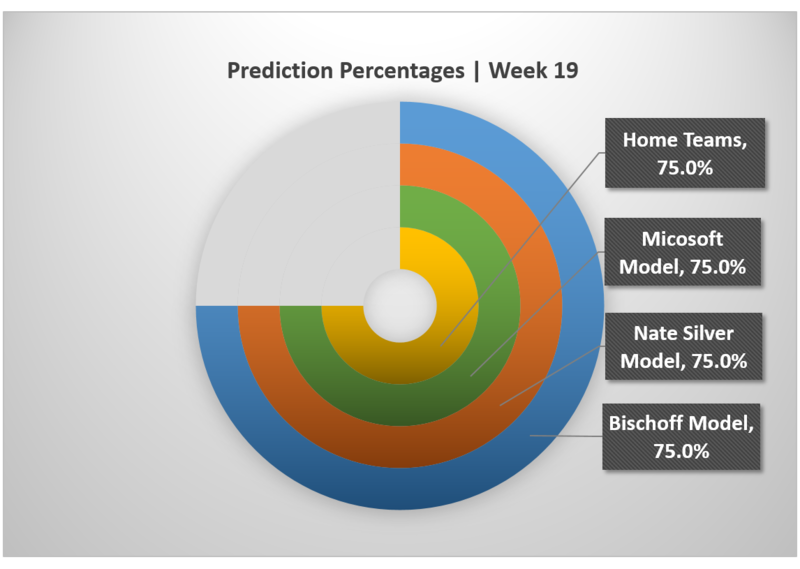 Due to the all three models having identical predictions on Week 19, all the models came out even at predicting 3 out of 4 games correctly. The only upset being Indianapolis’ fierce performance against Denver. It is also important to note Green Bay’s win over Dallas was a rocky one, with split views of the official’s call of an incomplete catch of Dez Bryant late in the game. Nonetheless, it helped the models predictions ratings. For those just joining, the Bischoff model, Microsoft’s Cortana, and Nate Silver’s Elo are all statistical models created for predicting NFL games. 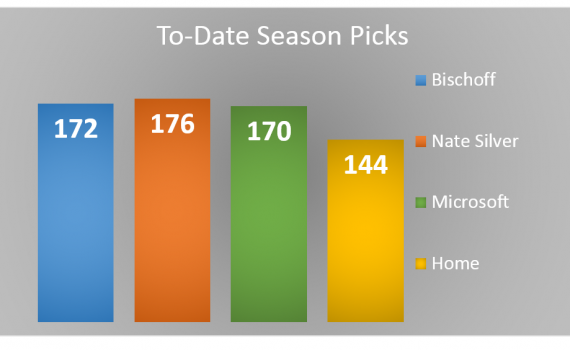 At the regular season, Elo led the models with correctly predicting 176 games, Bischoff came in 2nd with 172 games, and Cortana predicted 170. Moving on into the Conference Championships, the NFC Championship will feature Green Bay at Seattle. For the AFC Championship, New England will host Indianapolis. Just like last week, each of the three models have picked the same outcomes. It comes as a little bit of a surprise that none of the models have picked up Indianapolis at all, however that is probably due to the inconsistent regular season they had. Simply wanna input on few general things, The website layout is perfect, the content material is real great : D.
whoah this weblog is excellent i really like reading your posts. Stay up the good work! You know, a lot of individuals are looking around for this information, you could aid them greatly.